Our reusable organic cotton wipe is a healthy zero waste alternative to disposable wipes and to microfibre cloths and pads. 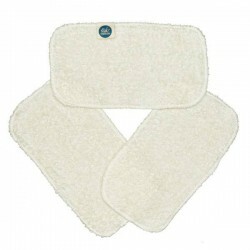 It is equally useful for cleaning and changing your baby as it is for personal hygiene. Suitable for people with allergies and sensitive skin. Organic american terry towelling fabric. Certified GOTS terry towelling fabric free of harsh chemicals. Towelling colour: natural raw cotton. 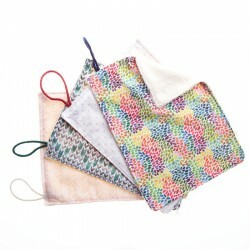 The green and healthy alternative to disposable wipes and to microfibre cloths and pads. Perfect for taking care of and changing your baby and also for personal hygiene. 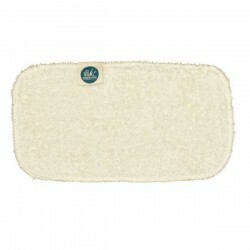 Suitable for people with allergies and chemical sensitivities. Sold in bulk. They do not come packaged in plastic. Exist in 2 sizes and is sold individually. Soak, if stained, in cold water before washing. Use sodium bicarb or sodium percarbonate to remove difficult stains. Wash with regular or environmentally friendly washing detergent. Fabric softener and bleach are not recommended. Maximum washing temperature of 60ºC (140ºF). Air dry or in a drier at a low temperature. Iron at a medium temperature, max 150ºC.